The highway between Medellín and Colombia's Caribbean coast winds through one of South America's major drug-producing regions. The road is controlled by army and police checkpoints, but to enter the Cordillera Occidental mountains that hover above it, you need the permission of the FARC (The Revolutionary Armed Forces of Colombia), the fierce Marxist guerrillas who control the cultivation of the area's coca crop, the raw material of cocaine. 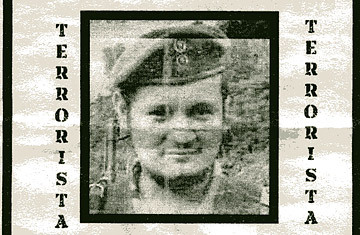 That rare permiso allowed TIME to take an eight-hour mule ride through the mountains, rivers, jungles and dozens of coca plantations to the encampment of German Silva Hernandez, alias Comandante Alberto, one of the commanders of the FARC's 18th Front. He carries a bullet scar on his stomach and a $36,000 government bounty on his head. But unlike so many FARC members these days  especially in the wake of this week's astonishing army rescue of high-profile FARC hostages  he has no intention of coming down from the mountains. He remains convinced that the insurgency has a future. "The new generation of guerrillas," he grouses, "needs better political training." The FARC's critics would say it's Comandante Alberto who needs better information. The reality is that the FARC, until recently one of the most powerful rebel forces the hemisphere had ever seen, has had its membership slashed from as many as 20,000 a decade ago to about 10,000 today. The guerrillas are far from vanquished, but they are the target of the biggest military offensive in Colombia's history, and they've lost several key commanders. The FARC is being pushed into remote mountains and jungle redoubts, and it hasn't captured a town since 2004. Fighters are deserting the FARC at a rate of 300 a month, according to the government, leading many analysts to believe the group is on the ropes. And that was all before Wednesday, when army commandos disguised as guerrillas tricked the FARC into placing 15 of its most valuable hostages  including former presidential candidate Ingrid Betancourt and three American defense contractors  on a helicopter to freedom. But in strongholds like the Cordillera Occidental, FARC commanders and soldiers remain defiant. And while it might sound delusional to many, they insist the guerrillas have more life than the government claims. "They've been saying [we're defeated] since the 1960s," says Comandante Alberto, who joined the FARC when he was 15 and has spent more than two decades in these mountains. "If they couldn't defeat us when we were a few dozen farmers, without uniforms and hardly any weapons, how can they beat us now when there are [still] thousands of us all over Colombia? This is a propaganda war. A couple of weeks ago the army came in here  we ambushed them and they ran away. You'd never read about that in the press. They only show you army victories." Still, the FARC has few of its own victories to show these days. The secret to its survival from here on out, according to many FARC-watchers, is not military muscle but drug money. Life in the Cordillera Occidental, where TIME recently spent three days with the 18th Front, revolves around cattle ranching and coca cultivation. The FARC collects what it calls "revolutionary" taxes from coca farmers and drug traffickers, both of whom pay a $90-per-kg duty on every sale and purchase of unrefined cocaine in that area. Similar tariffs nationwide  and ransoms earned from kidnapping  are said to net the FARC hundreds of millions of dollars a year. The Colombian government, as well as its allies in Washington, have long used the term "narco-guerrillas" to describe the FARC, which they accuse of morphing from a guerrilla force into a drug cartel. "If not for drug trafficking, the FARC would not exist today," argues Colombian Foreign Minister Fernando Araujo, who spent six years as a FARC hostage, not far from the 18th Front's territory, before he escaped in 2006.